Getting your hair cut or buying new makeup can put a girl in a great mood. So can an awesome manicure. 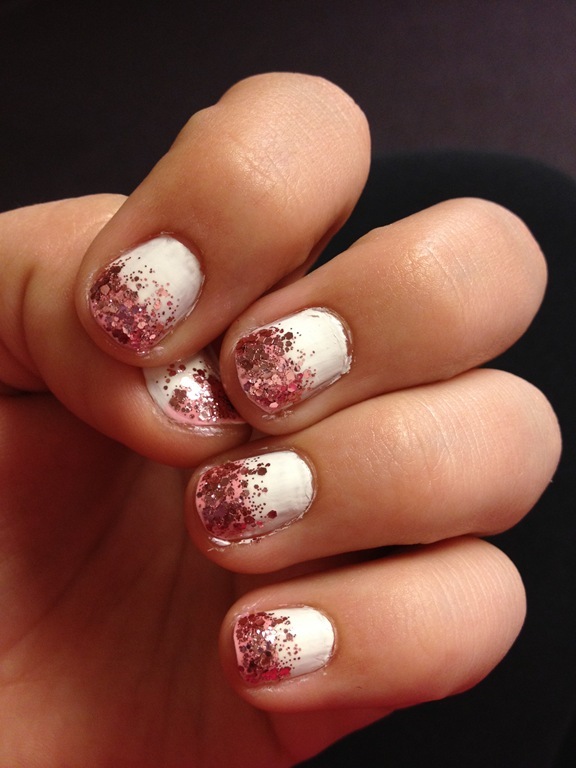 Recently, I saw an awesome nail polish job on pinterest. I decided to try my hand at it. 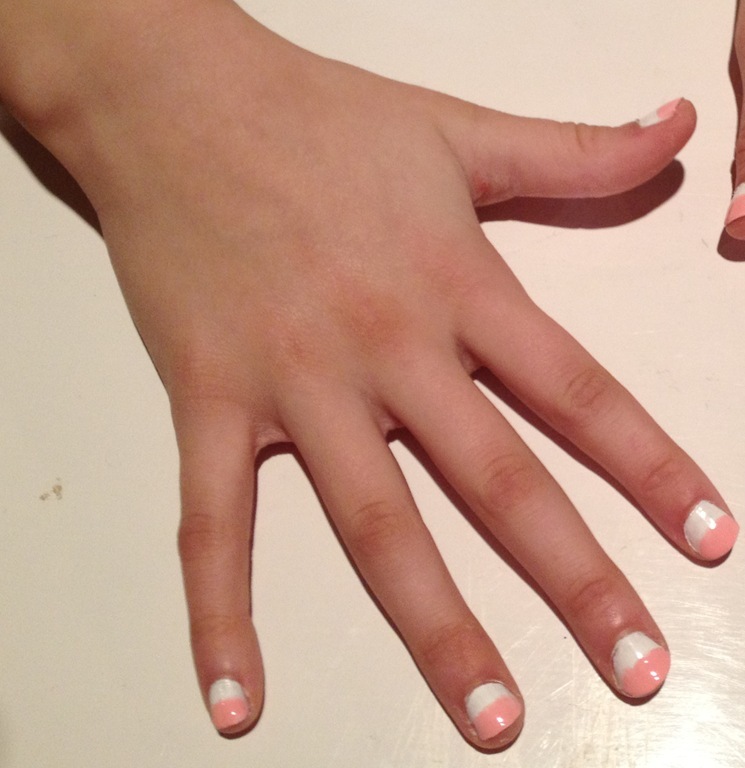 Mind you, I am in no way a professional nail artist. I decided to go with white and pink for my experiment. 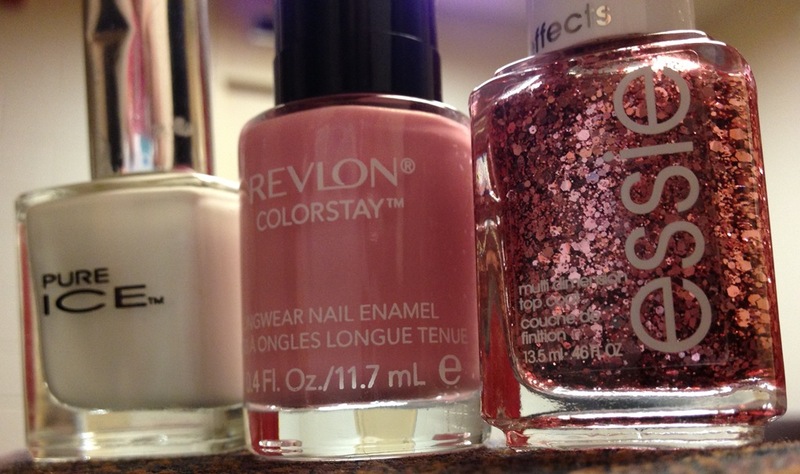 I used “super star!” by pure ice for the white, “café pink” by Revlon for the base pink, and “a cut above” by essie for the pink glitter. Just in case you were wondering… I was listening to Safe and Sound by Taylor Swift while writing this. It is an amazing song, and if you have not heard it yet I highly recommend looking it up! 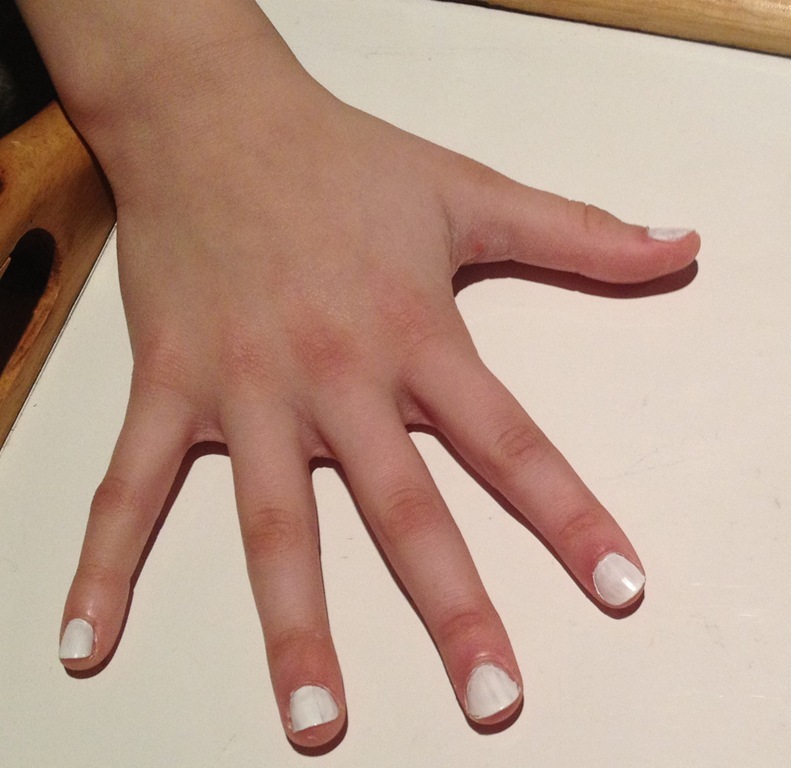 STEP 1: Paint the whole nail with a neutral base color. You could use a light pastel, tan, or white. I chose white because it made a striking contrast with the pink I used. You will need to apply two coats of this base to make it clear and it helps reduce the opaqueness. STEP 2: Paint the tip. Since my glitter is pink, I chose a pastel pink to go underneath it. You do not have to worry about making the line straight or the tip perfect. This is just a base coat to bring the color of the glitter out. I painted a third of my nail with the pink to make sure that the white would still stand out. I went ahead and painted two coats of the tip color to to make it less opaque. STEP 3: add GLITTER! 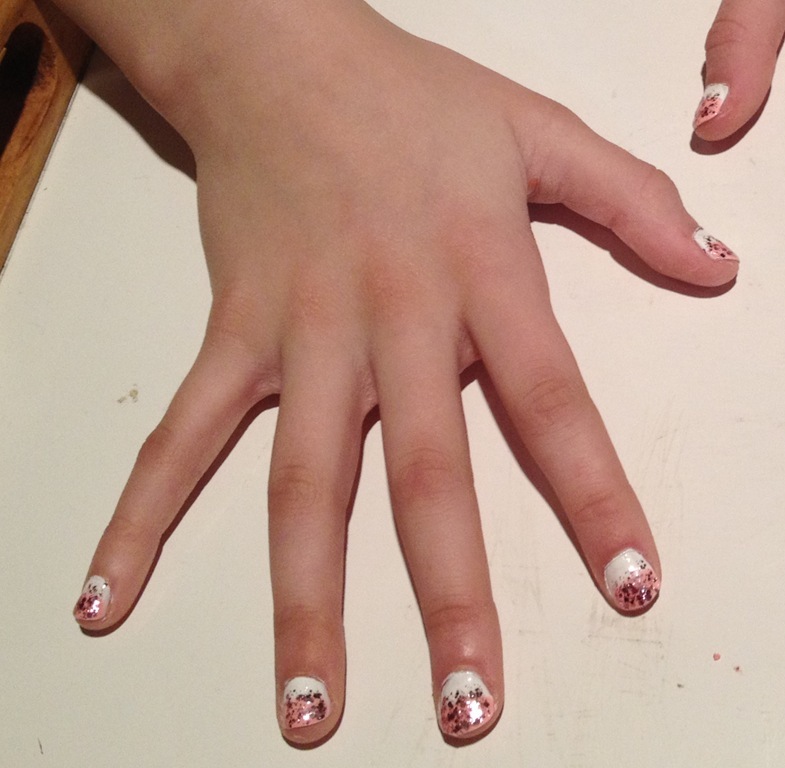 When I painted the glitter on I started half way up the nail so the glitter is on a little bit of the white too. This helps the white blend into the pastel pink base. I then added more glitter just to the very tip to add pizazz and make the look more bold. 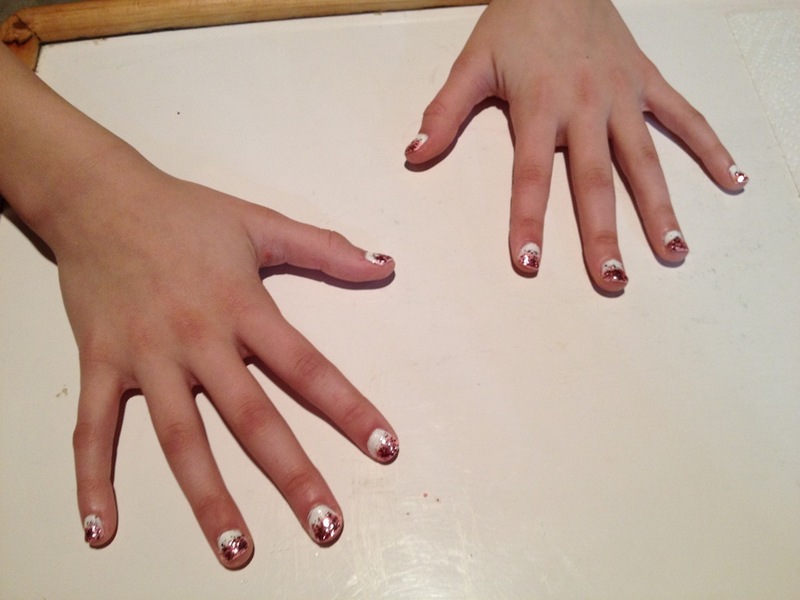 This entry was posted in girly stuff and tagged beauty, glitter, manicure, nail polish. Bookmark the permalink.